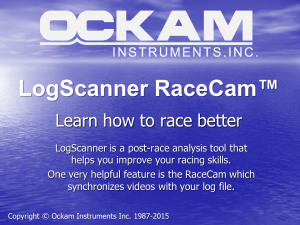 LogScanner is a post-race analysis tool that works with almost any instrument system. An important feature is its ability to synchronize videos with the log, letting you find out more about what caused any mistakes you find. 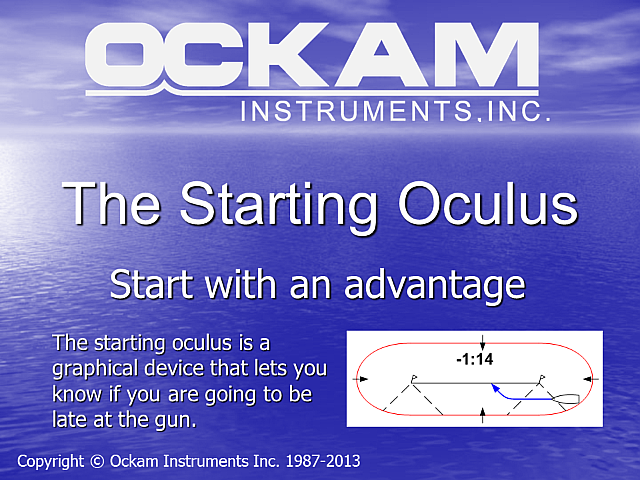 The Starting Oculus is a graphic that lets you know if you are going to be late at the gun. 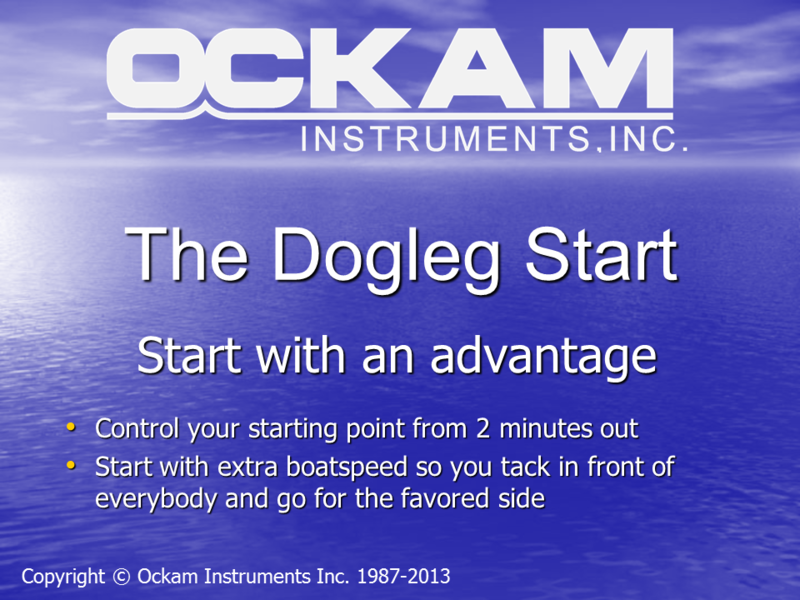 The dogleg starting strategy involves running parallel to the starting line to build up a head of steam and turning up just in time to cross at zero. You can have enough speed to pop out of the crowd into clear air and room to get onto the favored tack. Wind shifts are more important to winning than new sails or a sanded hull. 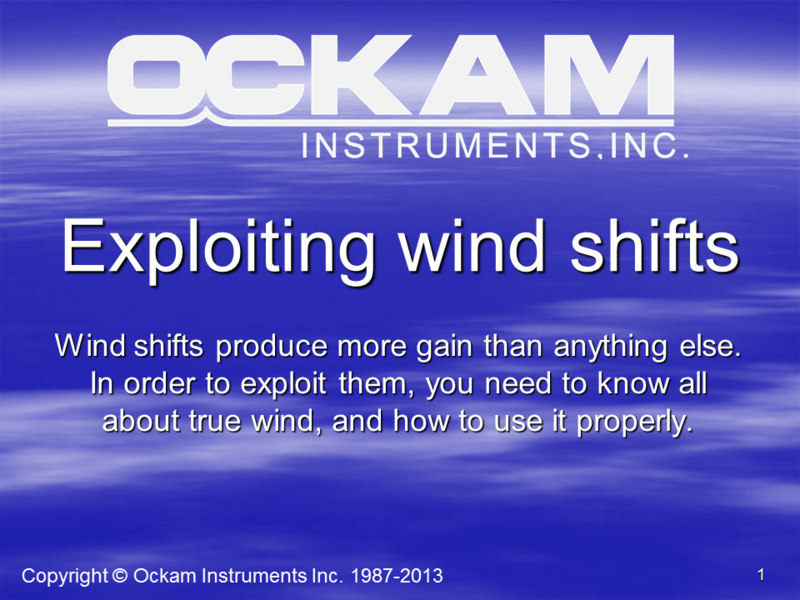 This presentation discusses why this is so, and how to get the most out of wind shifts. 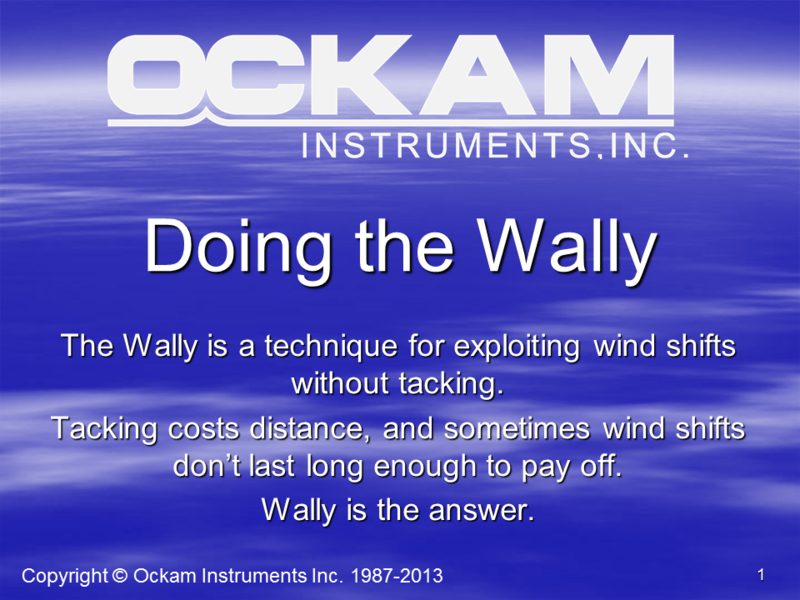 The Wally is a technique for gaining advantage of wind shifts when it you can’t or shouldn’t tack. When should you not tack? 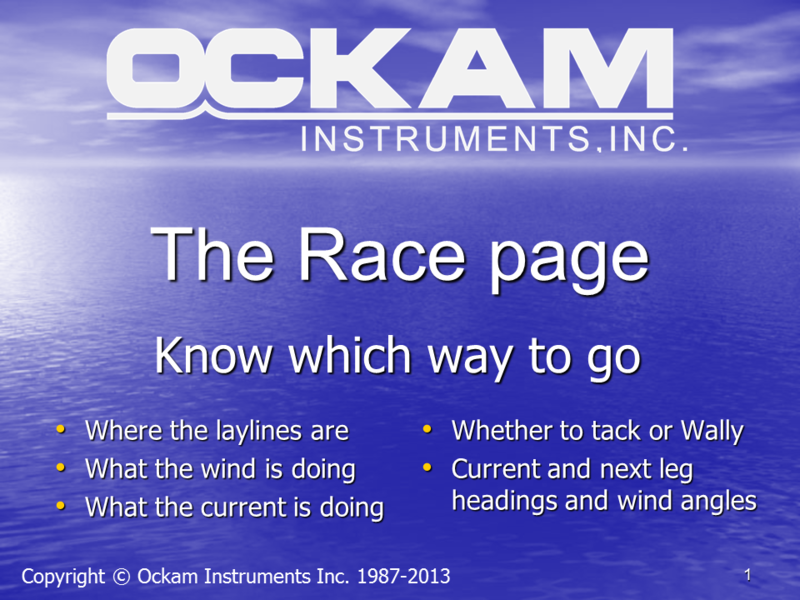 The OS5 Race page provides situational awareness. Get instant layline, wind, current and shift information at a glance. OS5 includes a sail crossover chart that is useful during a race to anticipate and manage sail changes. 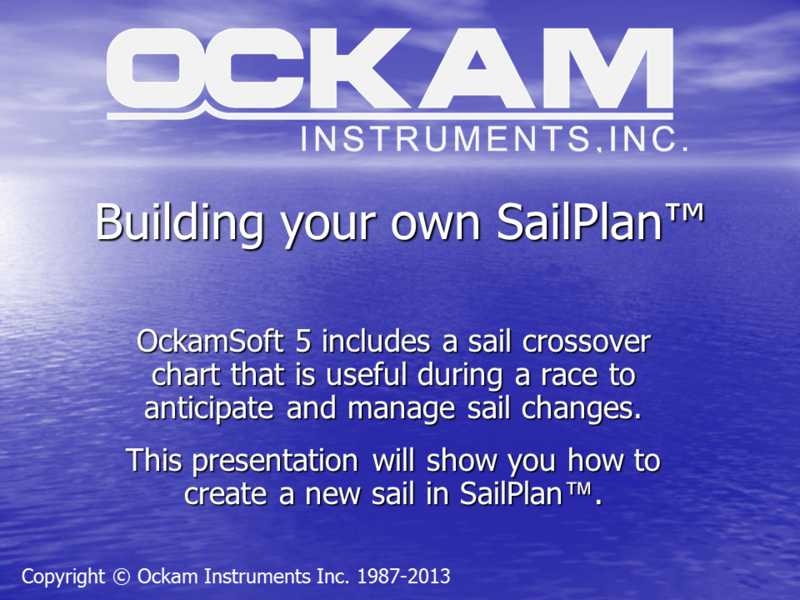 This presentation will show you how to create a new sail in SailPlan™. 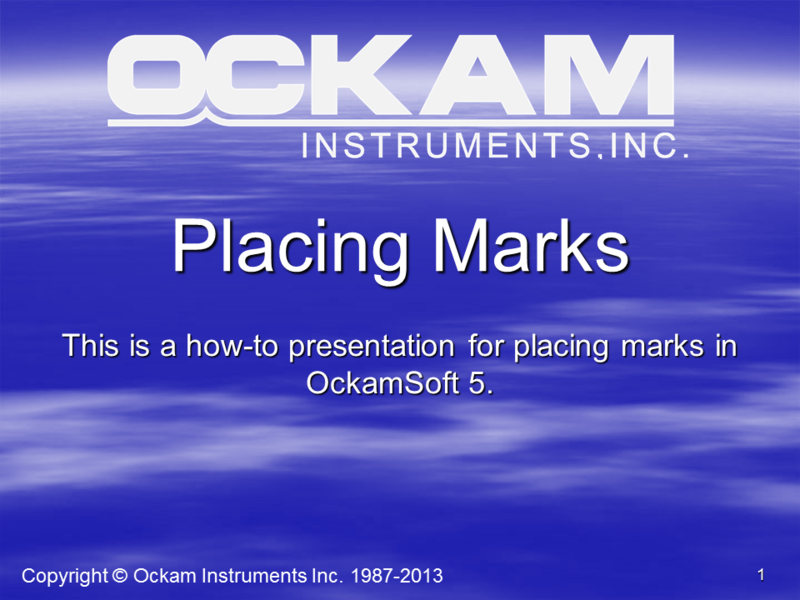 This presentation shows how to do mark placement and maintenance in OS5. 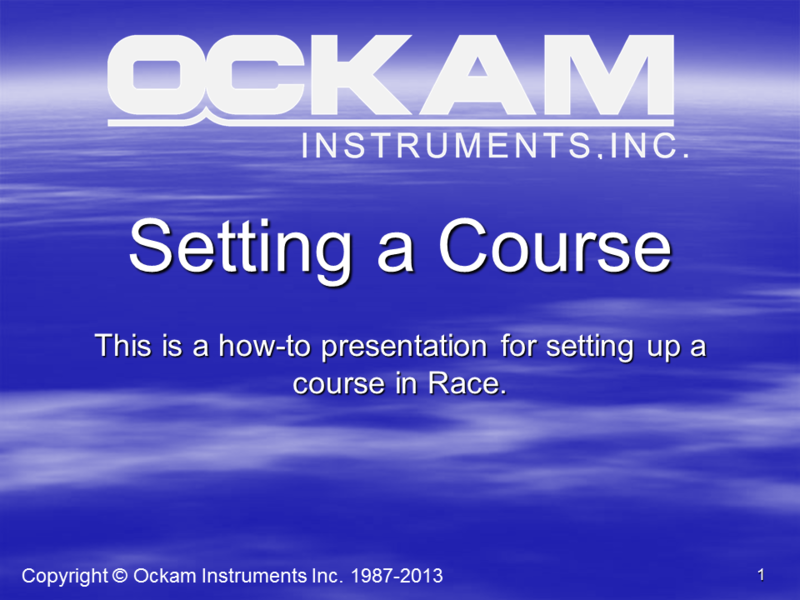 This presentation shows how to create courses in OS5.